It was truly the experience to find beauty in the most unexpected places. 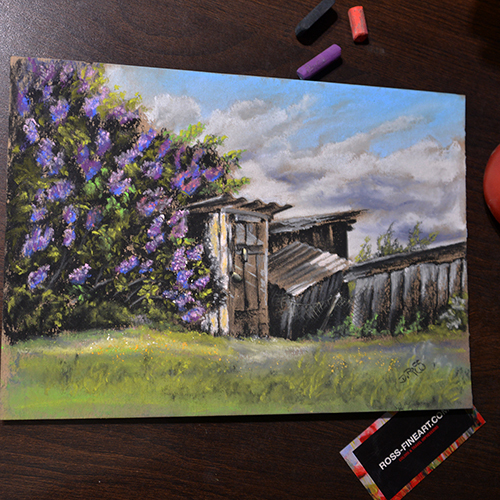 The most beautiful lilac bush was blooming somewhere between the dilapidated sheds. It always amazes me how something what’s ugly for us is nurturing for plants. I really had to ask my friend I was driving with to stop the car so that I can take a closer look at this lilac blooming. On that day I was on plein air while my friend was fishing. 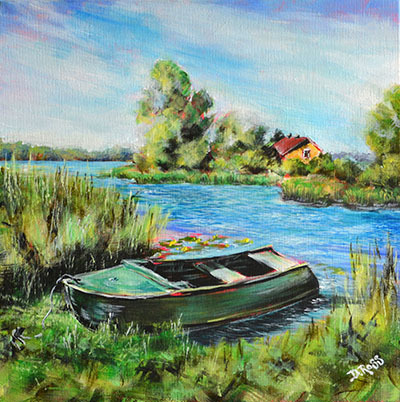 He got nothing and got a boat in “Karkeln-Mysovka. Curonian Lagoon” and this lilac bush.